Discussion in 'Legal Issues and Dispute' started by Prashant Sharan, Feb 25, 2019. The domain name ADE.com has been stolen, and the legitimate owners, KLA Tencor, are in the process of recovering it. Mr. Scott A. Andrews, CEO of KLA Tencor, declared the premium domain asset as stolen. 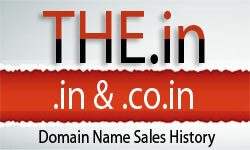 KLA Tencor is the original registrant of the domain, via its previous name, ADE Corporation in Massachusetts. According to information relayed to us by domain investor and broker, James Booth, KLA Tencor has not sold the domain, which has changed hands. Prior to its current registrant, the domain was registered in the name of an employee who is no longer with the company.